I'm off for my annual dose of literary society - to the Auckland Writers & Readers festival this weekend. I'll be there primarily as a punter, but I will also be chairing this session with Paula Morris and Stephanie Johnson, which should be lively and intelligent given the calibre of the brains and personalities involved (I'm talking about the writers, not the chair... oh never mind). 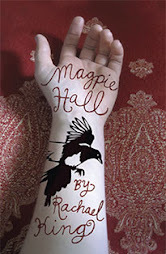 They have both written wonderful novels, based on the lives of their ancestors and there will be a lot to talk about. I am also looking forward to seeing Jeffrey Eugenides, Emily Perkins, Eion Colfer, Geoff Dyer, Jesmyn Ward, Mal Peet, just to name but a few. 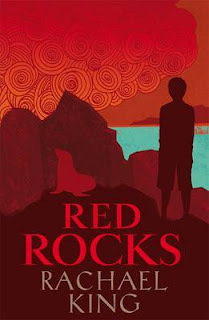 Then it'll be back to Christchurch to start preparing for the launch of Red Rocks (see below). The official launch will be at the Children's Bookshop in Kilbirnie on June 7, and I'll be posting more details as I have them. I'm hoping then I can have a bit of a break, but things just seem to thunder on and just as one thing falls out of the wagon, another usually jumps in to take its place.